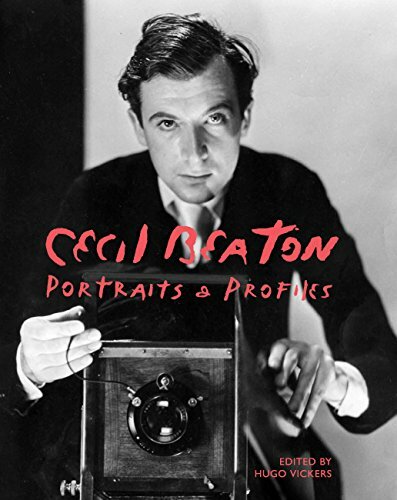 Having just completed Cecil Beaton’s The Glass of Fashion, Cecil Beaton: Portraits and Profiles comes as a dessert after a fine dinner. In many ways this is a sociological journey as seen through the lens of Cecil Beaton as it passed to his hand, offering a more up to date accounting of Beaton’s seemingly never ending cast of subjects straddling every social caste and every profession; without question he favored the elevated classes. In eight chapters, Mr. Beaton covers half a century via his portraits—all accompanied by his personal commentary from his diaries—and then a more empirical accounting of the same subject assembled by Mr. Vickers. The format cannot be simpler, and yet there is no loss of interest as Beaton’s subjects range from the most arcane to some of the greatest and most recognizable faces of the 20th century. Without question, the reader is made privy to Beaton’s observations on each subject, which range from the highly complimentary to the most acerbic. Beaton has long been famous for his talents as well as his biting wit and here you are afforded the opportunity to read his specific thoughts regarding each person as well as partake in his photographic talents. What becomes blatantly apparent is that Mr. Beaton had unmatched access to almost anyone in the world no matter their social station or occupation. When you consider the kings, queens, society doyennes, mega stars of stage and screen, and the acclaimed artists and writers who graced his “eyes” it is then you realize the all-encompassing reach he had acquired during his life. Again, this is a book that proves both enormously entertaining as well as informative. Mr. Beaton was indeed a snob, and yet he offers glimpses into a world that he once knew and no longer inhabited. If you are a fan of his, a fan of fashion, or just a photography enthusiast, you have struck gold here.